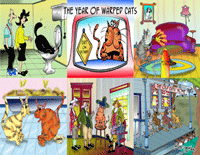 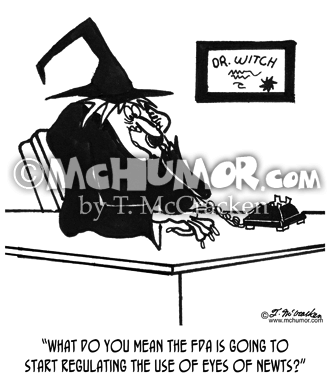 FDA Cartoon 2659: A witch on the phone says, "What do you mean the FDA is going to start regulating the use of eyes of Newts?" 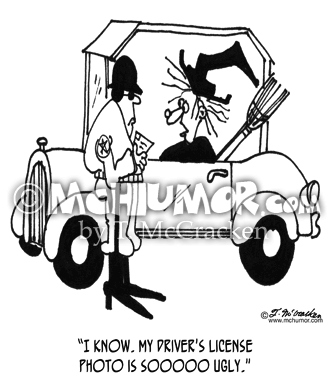 Photo Cartoon 5440: An ugly witch says to a traffic cop looking at her ID says, "I know. 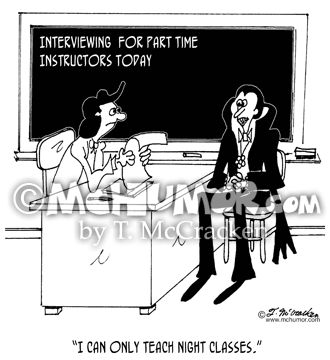 My driver's license photo is sooooo ugly." 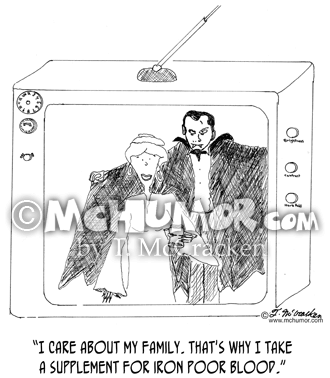 Vampire Cartoon 0038: A vampire's wife says, "I care about my family. 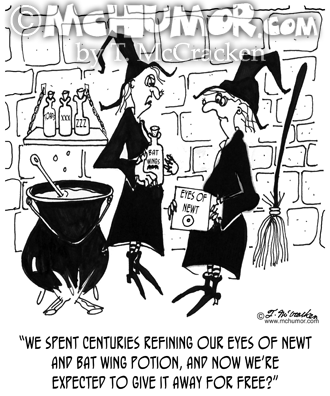 That's why I take a supplement for iron poor blood." 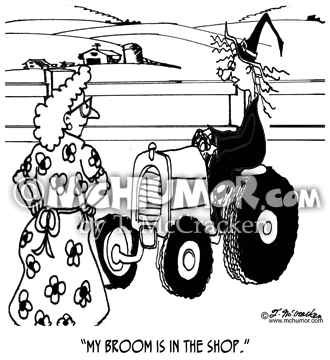 Tractor Cartoon 7680: A witch driving a tractor explains, "My broom is in the shop." 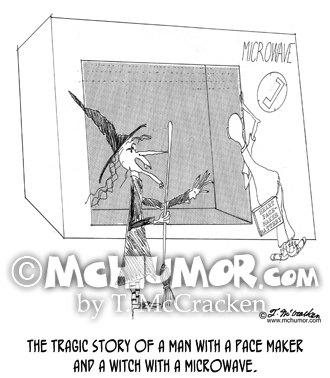 Microwave Cartoon 0119: "The Tragic Story of a Man With a Pace Maker and A Witch With a Microwave." 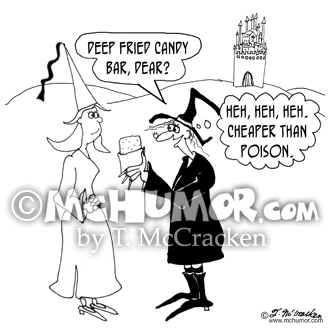 A witch leads a man into a huge microwave.